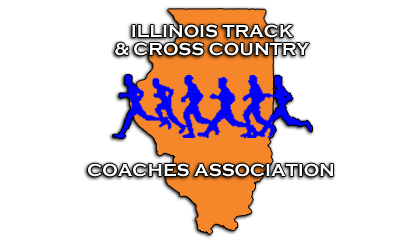 Ron Helberg, a coaching force, ITCCCA officer, IHSA Official, and Hall of Fame member passed away last night from surgical complications. He fought Parkinson’s for the last 20 years. Ron was a founding member of ITCCCA and head coach at Palatine, Maine East, and Evanston. Under his leadership, his teams won 4 state titles and several athletes earned notable accomplishments: Larry Kelly, the national high school 880 record holder, Howeard Jones, state champ in the 100 and 220 for three consecutive years, and Nat Page, the first 7-foot high jumper in Illinois. Ron’s service and leadership will be honored and celebrated at a ceremony to be held in November. If you'd like to see something added to ITCCCA.com, please use the form below to send it to our web editor. Submit a link to a news or website article. It must include an Illinois connection to be considered for posting, or be of distinct value to Illinois coaches and/or athletes. Want to spread the word about something regarding your team or organization? Want to write a blog? Let us know here! Don't forget the important stuff: Who, What, When, Where, Why and How! Ron was a great guy and an even better friend. He will be missed. Sending prayers to and for his family.